A majority of the people that book holiday apartments in Miami are visitors from outside of the United States. During their stay these international travelers will have many adaptations they will have to make specifically when it comes to measurements and distances. The US is one of the only countries that does not use the metric system as a form of measurement. 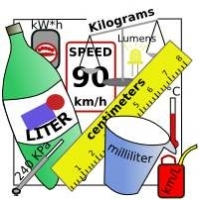 The metric system is a decimal system of weights and measures in which the gram is the unit of weight, the meter is the unit of length, and the liter is the unit of volume. Gas in the UK and in European countries is sold by the liter where as in the states it’s sold by the gallon. Additionally, to measure speed like for distance other countries use kilometers rather than miles. So guests staying in our holiday apartments Miami Beach that plan to drive will need to understand the difference between the two. For weight the kilogram (kilo) is used which is equivalent to 1,000 grams or about 2.2 pounds. Temperatures in the US are measured in Fahrenheit not Celsius. And for those that plan to cook while in Miami, you will need to do the conversions. As a result, vacationers in Miami will have numerous situations where they must do conversions in order to budget appropriately. With the help of the online metric conversion charts below you can convert one system to another rather quickly.